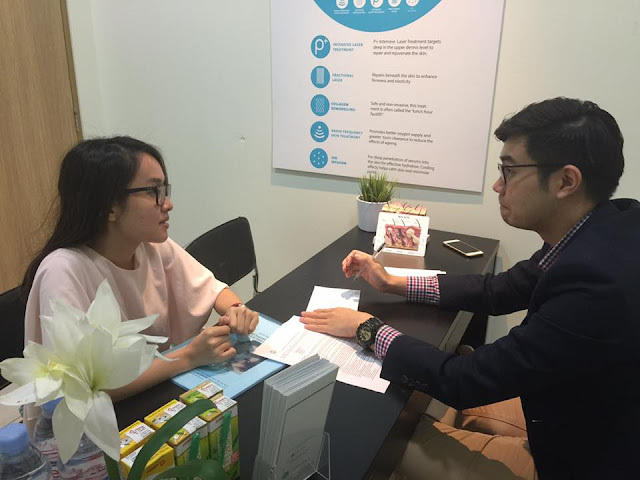 Home / laser treatment review singapore / pop clinic laser review / pop laser clinic 360 solution review / singapore laser treatment review / How does it feel like to go through 5 types of laser treatment in ONE go? 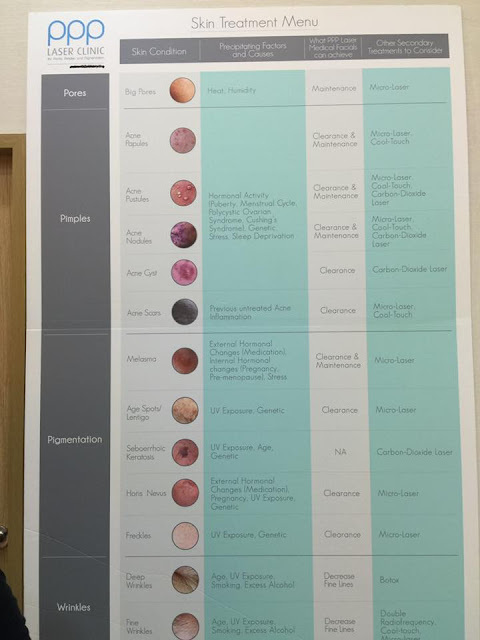 How does it feel like to go through 5 types of laser treatment in ONE go? 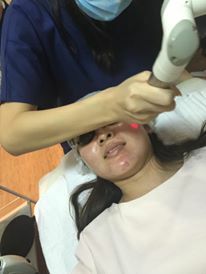 PPP Laser Clinic for Pores, Pimples, and Pigmentation is offering an all-new laser clinic treatment package. This treatment involves five different types of laser treatment in just one session. 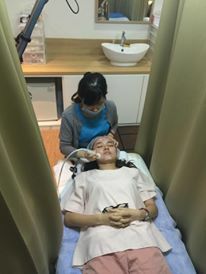 Consisting of intensive laser treatment, fractional laser, collagen remodelling, radio frequency skin treatment and ion infusion, PPP Laser clinic has made a very strong claim in stating that your skin can be revitalized in just 30 minutes. Their selling proposition? To cater to the office crowd for lunchtime facials. I was invited to try this new treatment. 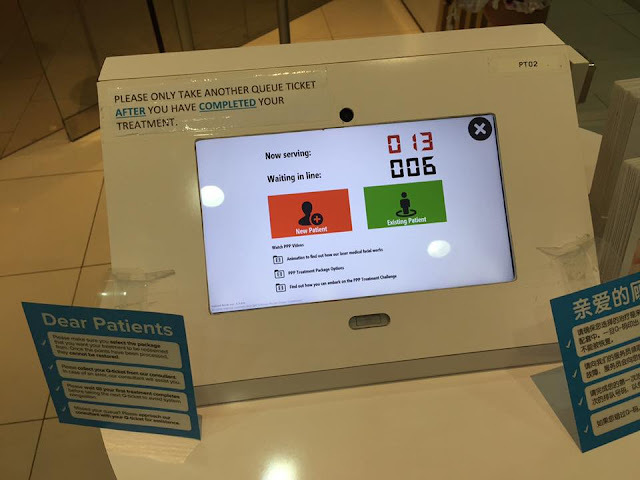 I arrived 15 minutes late for my appointment (12.15pm) and found that there were 6 in queue. 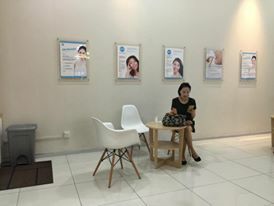 The clinic was very different from other aesthetics boutiques— it's minimalist layout accompanied with white walls and wooden furniture gives off a very clean feel. 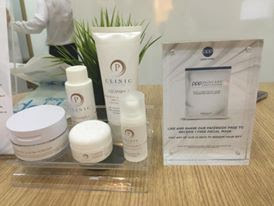 There is also a skin treatment menu which helps you decide on the type of treatment you should have. I think it'd be great if they gave an estimated number of the number of treatments required before one can finally see results. 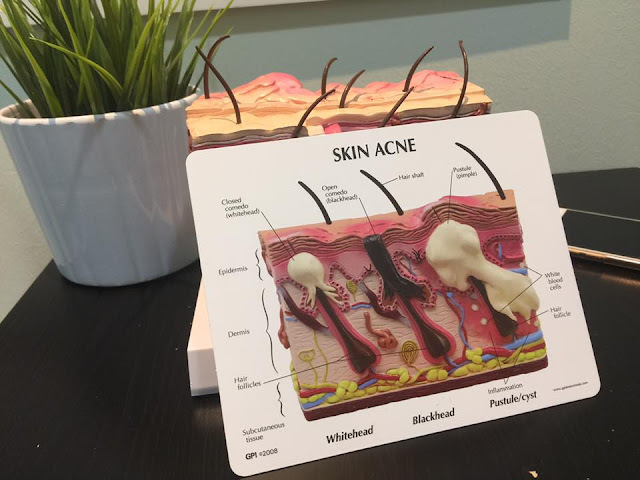 We also had to fill in a form which requires details such as your medical health history, as well as your current skin concerns. 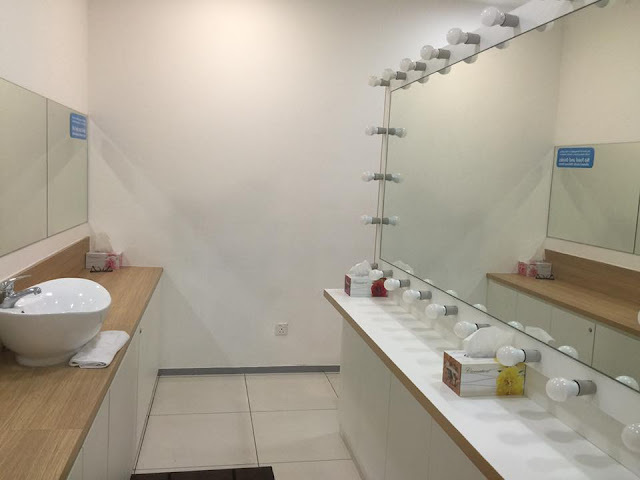 The make-up room appeared quite bare to me— there was no soap at the sink and there were only boxes of tissue paper around. I was given one piece of make-up removal sheet, which was barely enough to remove my makeup. If you put on a lot of makeup for work, do remember to bring your own makeup cleanser and removal. My first stop was a consultation with the doctor. He asked what my skin concerns were. I kind of wonder why he had to ask me if I had already filled in the form earlier. Anyway, there was another staff standing beside us throughout the consultation, and assisting to help us whenever necessary. The doctor did take down notes furiously and made a few recommendations. Pardon the small photos— I've passed my phone to Joanna from the PR agency and somehow the photographs were accidentally set to 'small' size. I tried to enlarge it but it still looks pixellated (see below). Some photos, however, are strangely ok. Anyway, we were led to a room that had an estimated number of 10 customers, lying side by side, with only curtains drawn in-between. I felt that there was not much room as I had to put my bag under the bed. Apparently, you have to move from one bed to another for some of the treatments! Honestly, I don't remember the name of each technology and what was happening. I've experienced intense pain, light pain, and smell of burnt skin. The last procedure was the best— it was a cooling and calming sensation. I think most of the time I was frowning and forcing myself not to jerk from the pain. I heard another customer who shouted loudly because she said it was too painful for her. I requested to be on the lowest level of treatment, but it still hurt quite badly. I guess I really do have very low threshold for pain! When the treatment was over, my face was as red and burnt as a baboon backside. I was too embarrassed to step out of the shop. My face also felt really hot, so I decided to wait for the doctor to come back from his lunch break (at 3.30pm). This made me realise that the treatment was definitely more than half-and-hour! 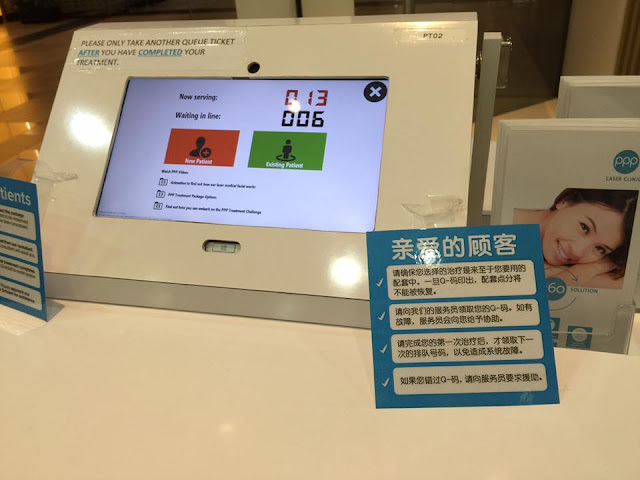 I went into the clinic at 12.15pm and started my treatment at 12.45pm, but only finished my treatment past 2.30pm. 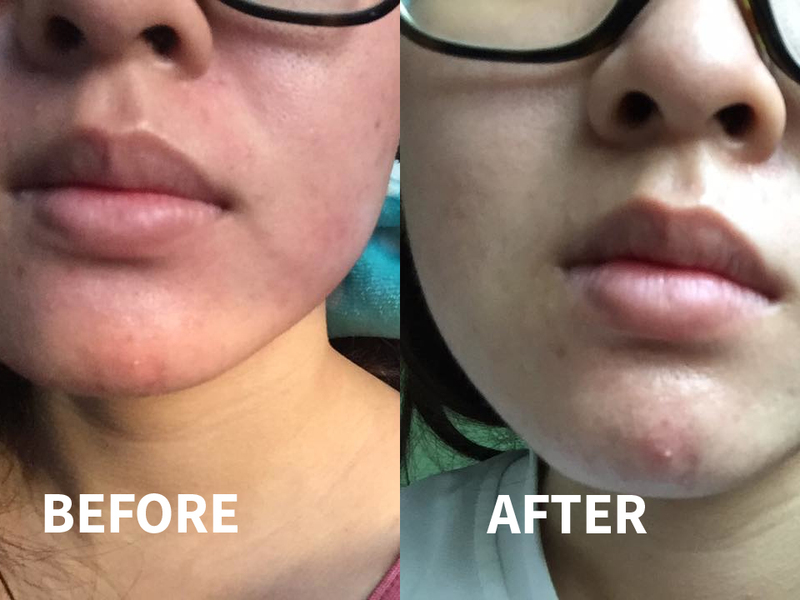 I was given an intensive hydrating mask after treatment to calm my skin, and thankfully, the redness subsided after an hour plus. One of the most obvious result is that my skin was less red. 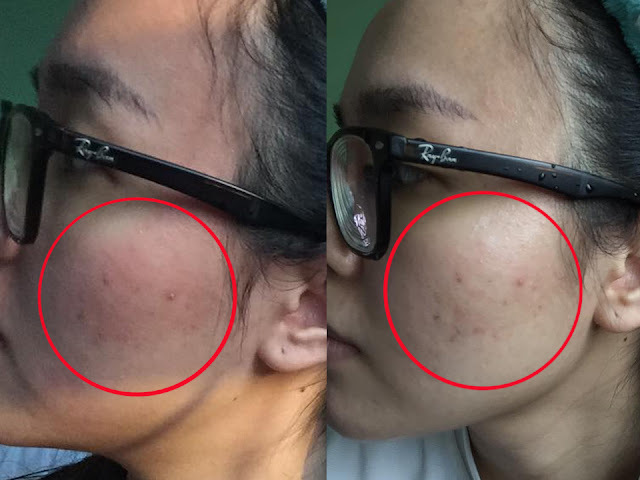 The acne pus also appeared to be gone, but the acne scars remained the same colour. As for my chin, the pimple that was hidden within my skin actually came out! I also felt that my skin was a lot brighter (as compared to red, inflamed skin previously). However, the results didn't last as long as I wished and I believe this requires some sort of monthly appointments. I'm not too sure if i'd visit the clinic again as I'm quite intolerant of the pain... but for a first-timer, I think the results are quite acceptable. 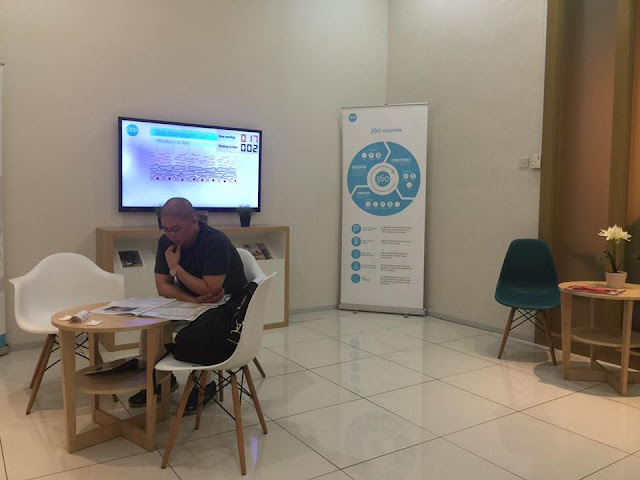 The 360 Solution is available at all PPP Laser Clinic outlets. 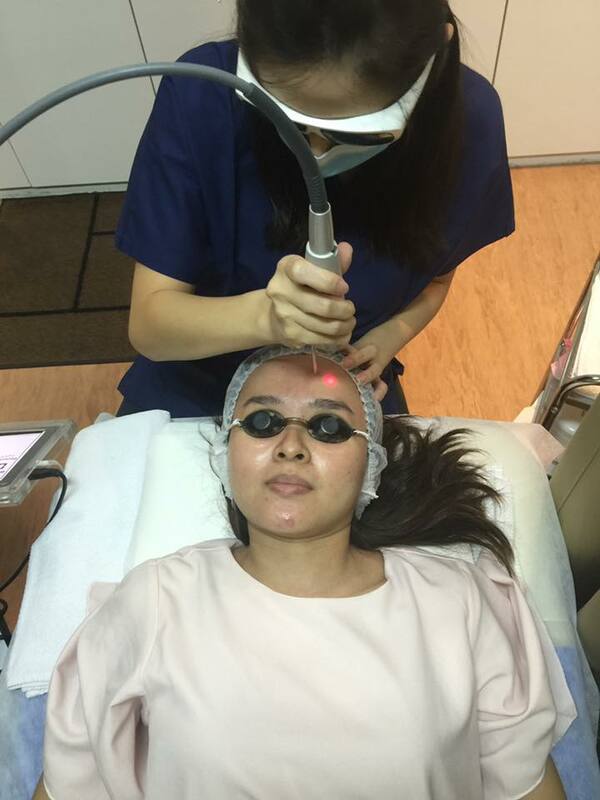 The taster package is available at S$360 which includes one session of the above-mentioned laser treatments.